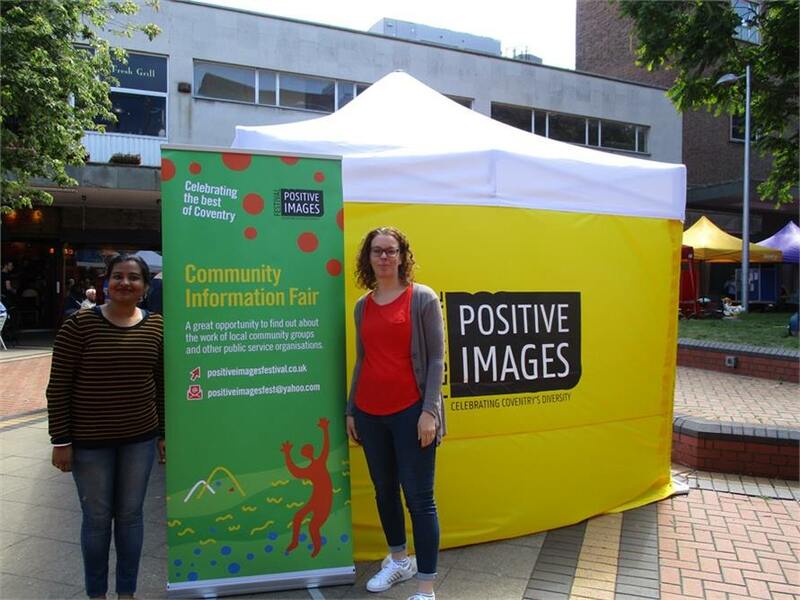 Cyrenians were invited to have a stall at the Positive Images Community Information Fair on Friday 22nd June, as part of the Festival Celebrations. 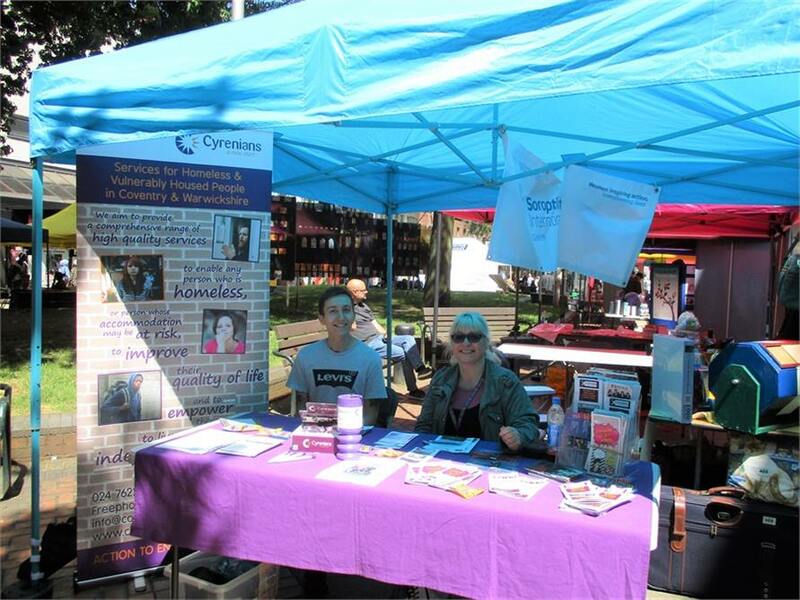 It was located in the heart of Coventry City Centre, along with 23 other charities and organisations. The stall was a success once again. It allowed for invaluable interaction with members of the public and other agencies across Coventry. 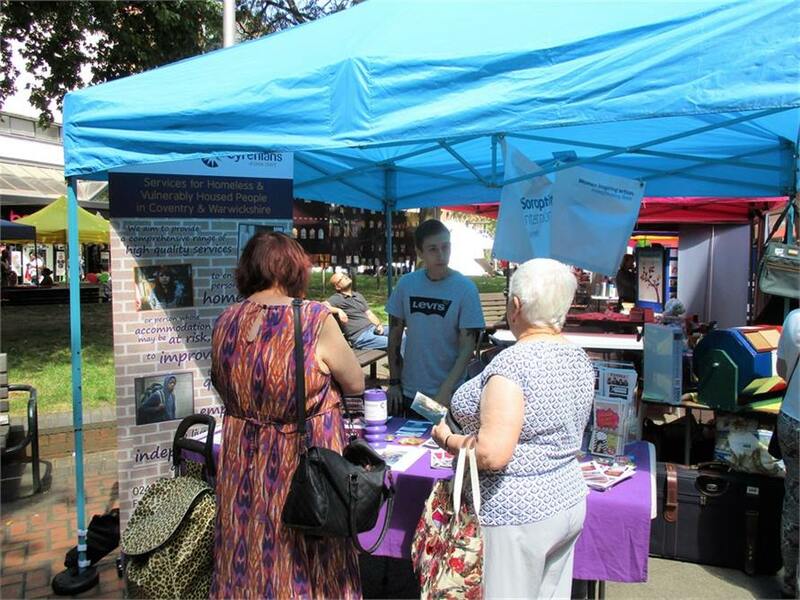 We were able to spread the word about homelessness in Coventry and about the services that we provide to the public. Some people were already aware of Cyrenians due to our history within the city;however they were not fully informed about how we had evolved as a charity. 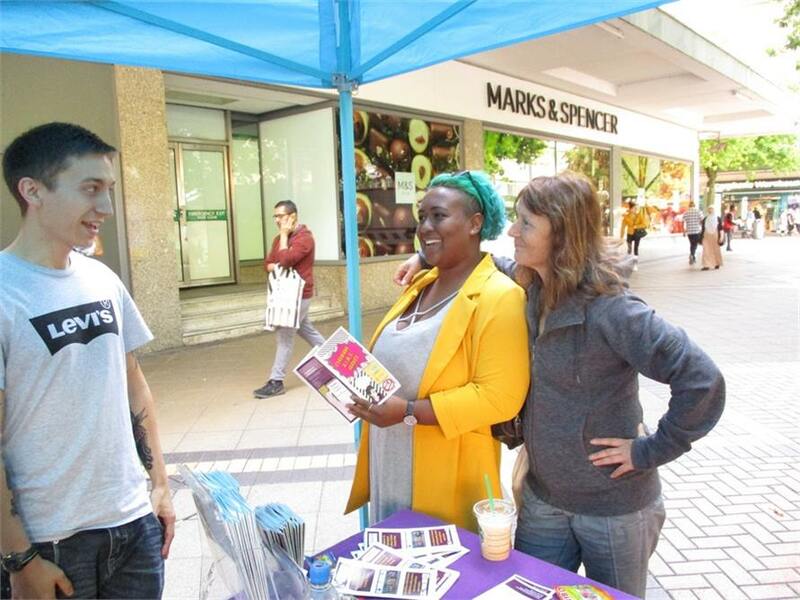 Leaflets were handed out providing people with the knowledge needed to help spread the word about Cyrenians. We also received some welcome donations.